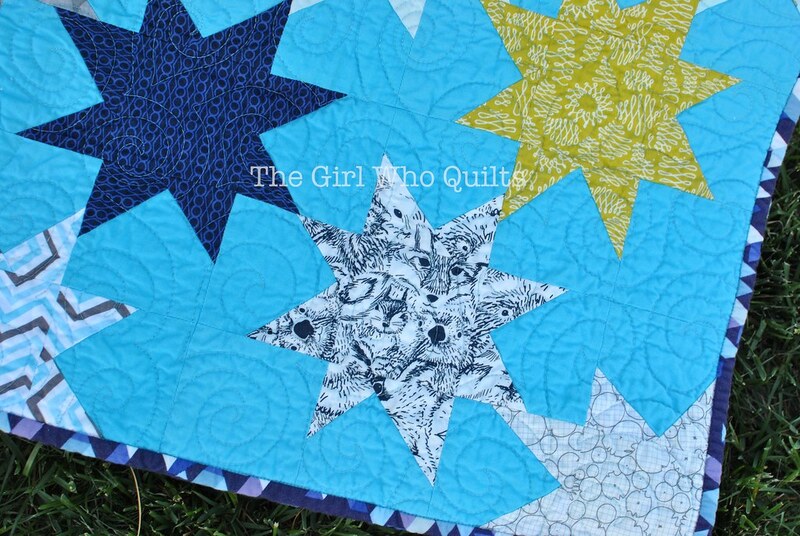 I wanted to make a star quilt, something fun and whimsical for a sweet 6-year old girl to enjoy now and as she grows. I certainly added touches that she will love now (such as the awesome Art Gallery Menagerie print from the Indian Summer line), but tried to stay away from anything too cutesy (which isn't her style, anyway!). 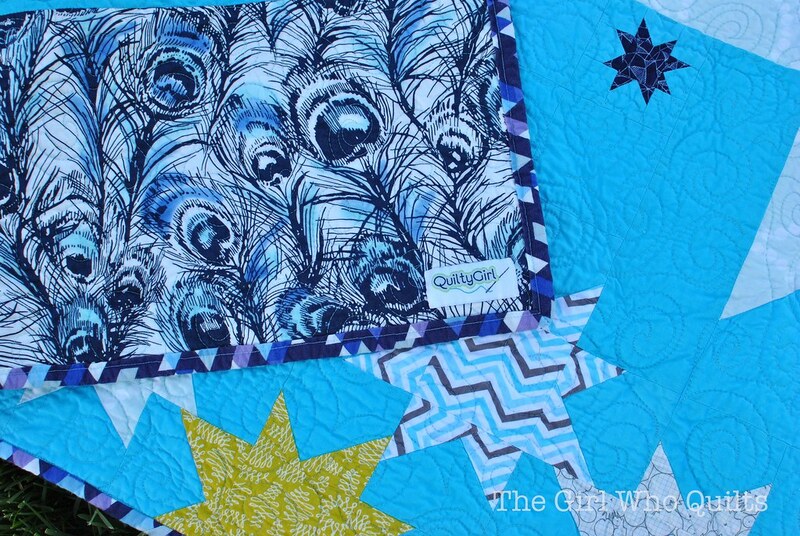 I used the Sparkle Punch quilt by Oh Fransson! 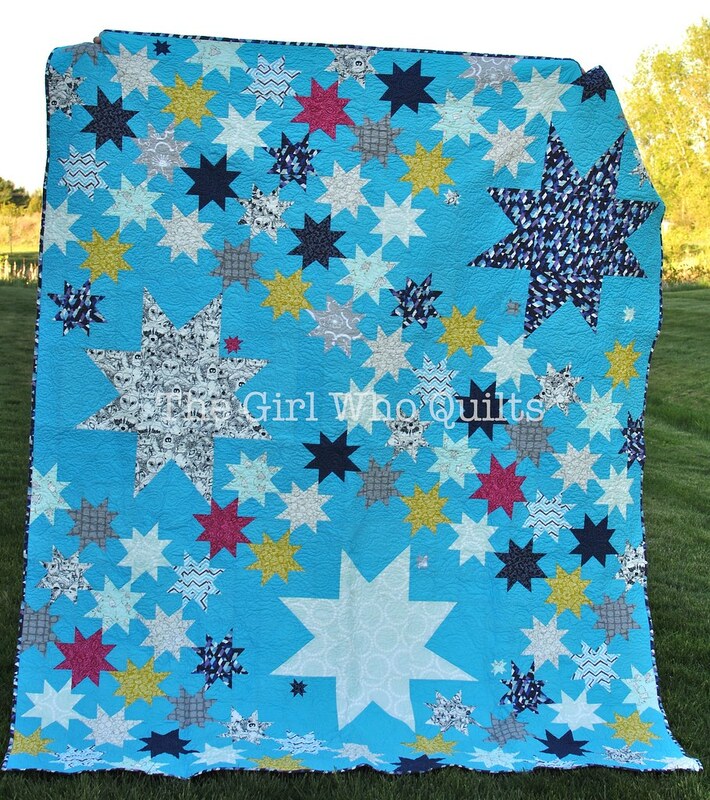 as a jumping off point, but added in 3 large stars (centers are 9" square, stars about just until 27" from point to point!) 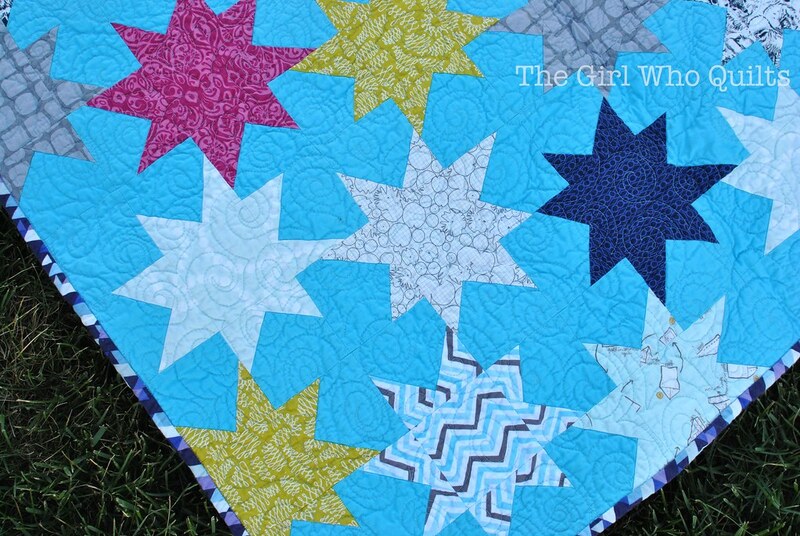 and some itty bitty stars (centers are 1" square, and less than 3" from point to point!). Warning: Picture colors are off a bit...I was short on time and my lighting options were either full sun or full shade! I played around with arrangement a bit, but ultimately decided to not disrupt the flow of the majority of the stars. Because of that, I ended up with a decent amount of background around the larger stars. 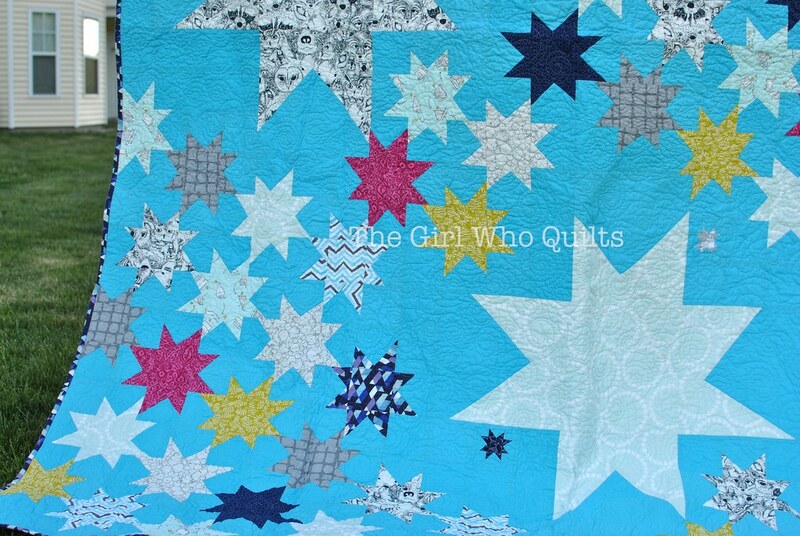 I filled it in a bit with the tiny stars, and I'm really happy with the layout! I like the extra background space, as I think it calms the design down a bit.